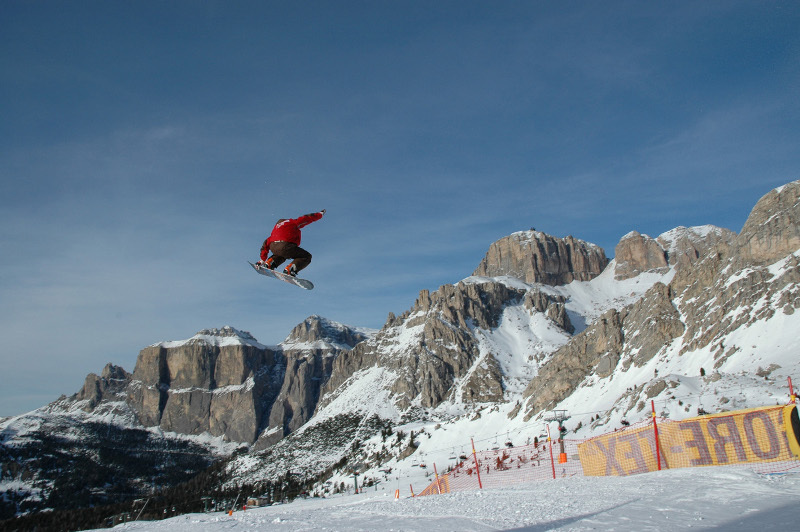 Spectacular, both the jump and the landscape. 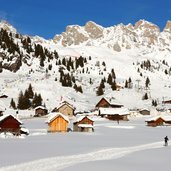 Ski tour in a fairytale-like winter landscape. 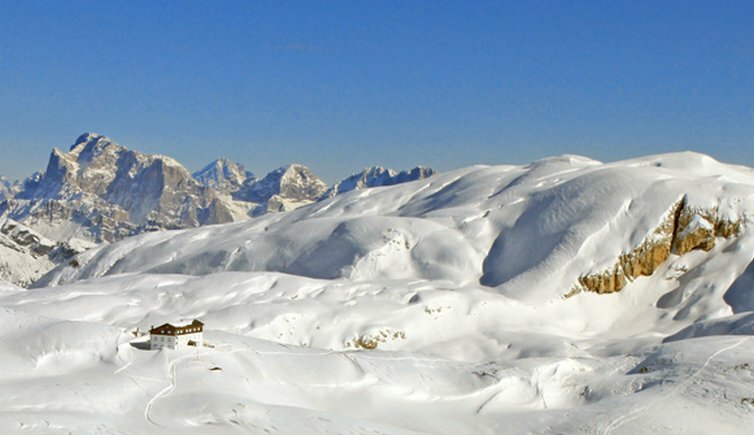 Aurora on the snow-capped mountain peaks. 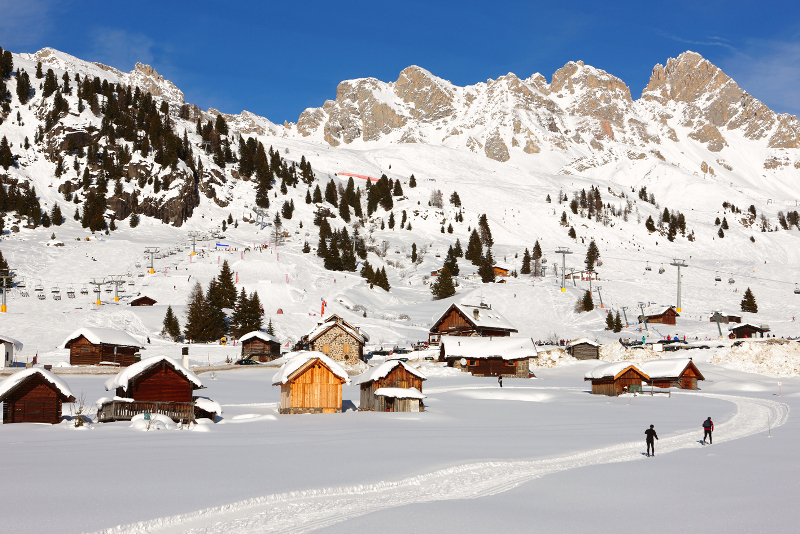 Val di Fassa, winter sports paradise. 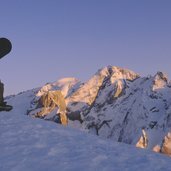 Not only the way down is a great experience. 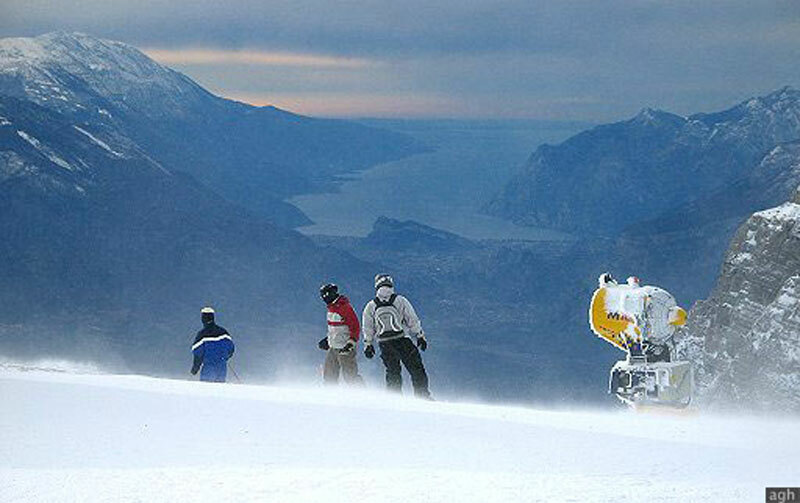 Ski tour in snow-covered landscape. 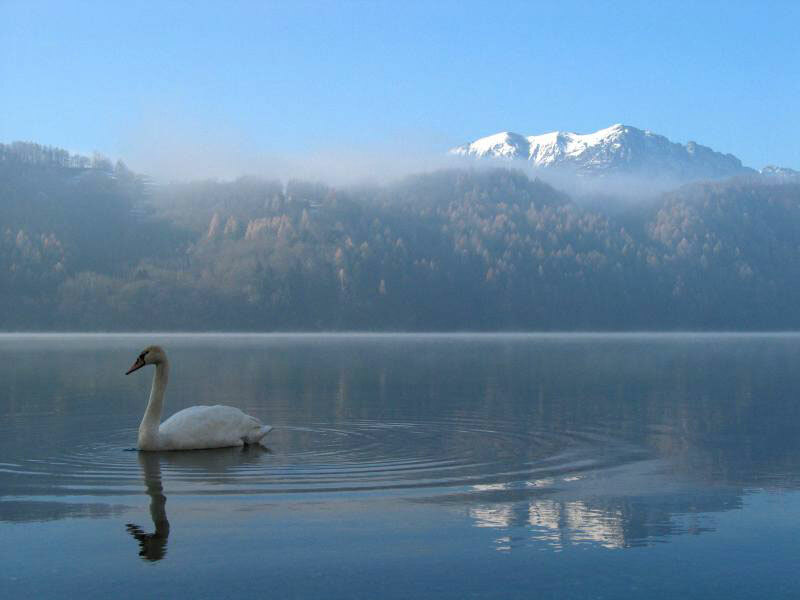 Idyllic landscape of Lago di Levico. 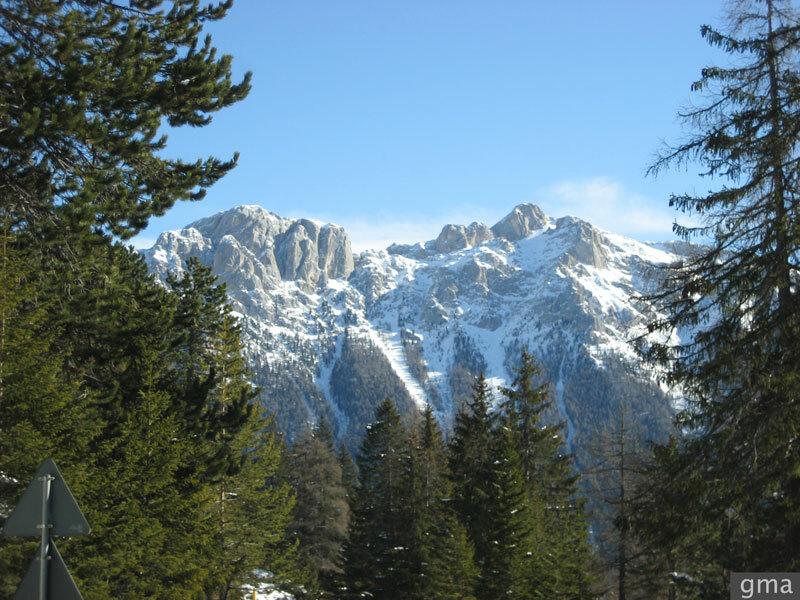 Snow-capped mountains in Val di Fassa. 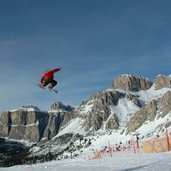 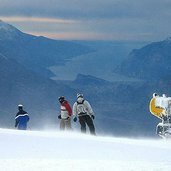 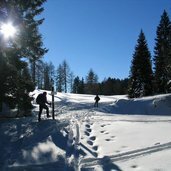 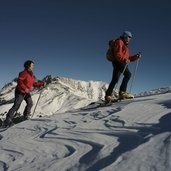 Trentino has got a wide variety of skiing areas to offer. 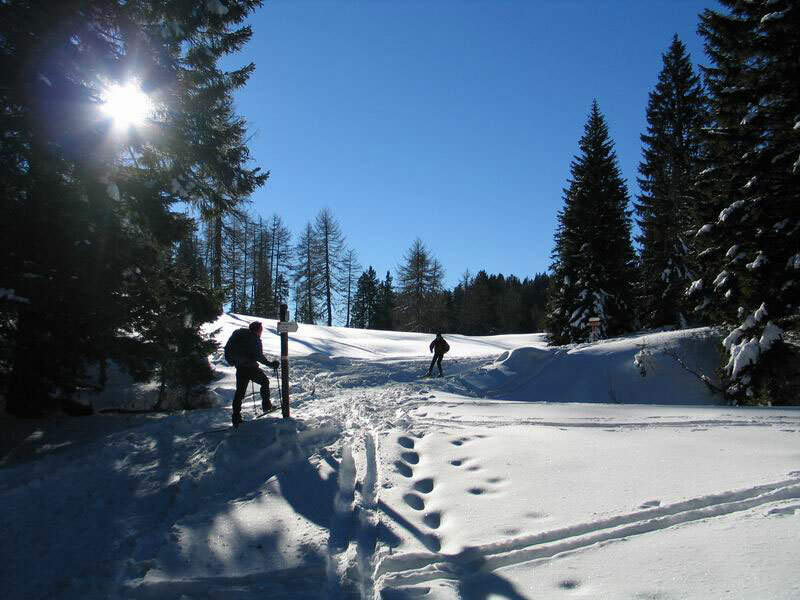 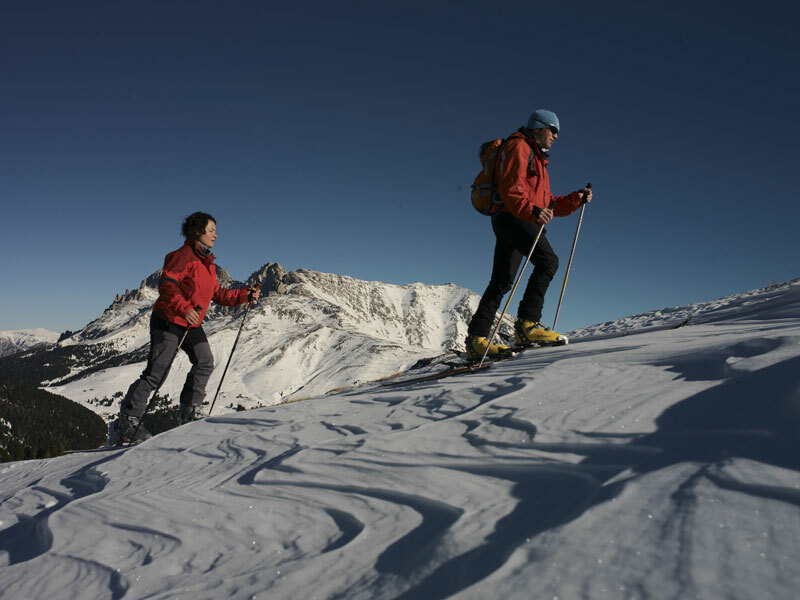 Skiing in Paganella is easier if you are staying at Alphotel Milano. 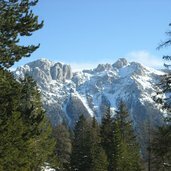 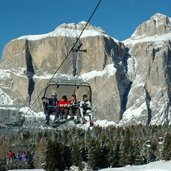 The ski facilities are at 400 metres from the hotel and skiing to the top of Paganella to see the wonderful view of the Brenta Dolomites takes a few minutes. 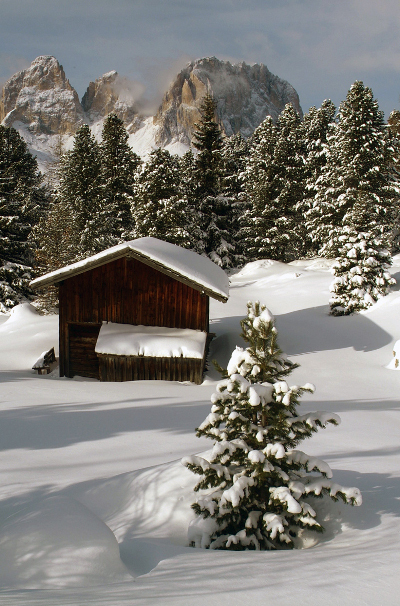 Enjoy the perfectly prepared slopes and the clear sky of Paganella! 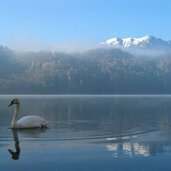 The peaceful atmosphere is absolute. 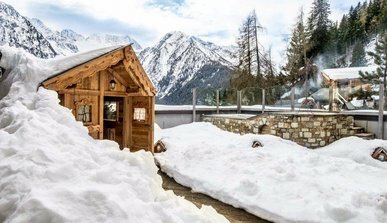 Fall asleep lulled by the Alpine surroundings. 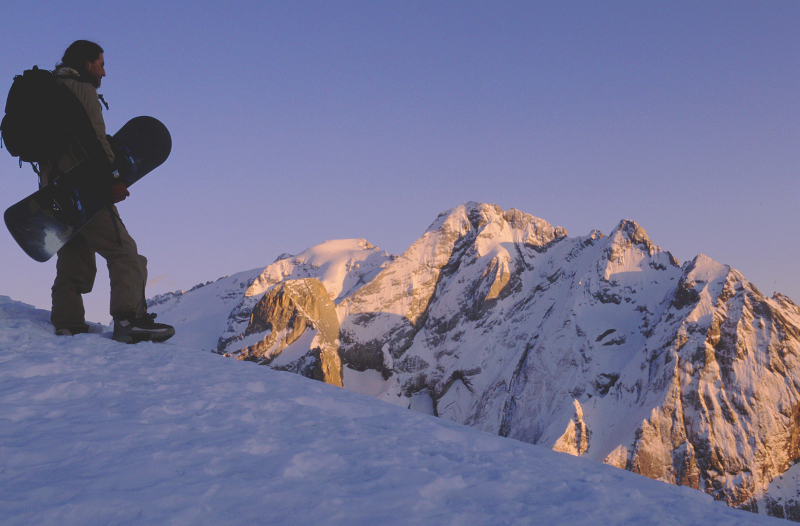 Awake and fill your lungs with pure mountain air. 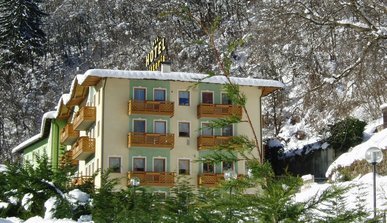 This is what you’ll find at the Hotel Chalet al Foss. 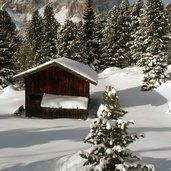 The perfect atmosphere for a sporting holiday with friends or special moments of relaxation with the family in Trentino. 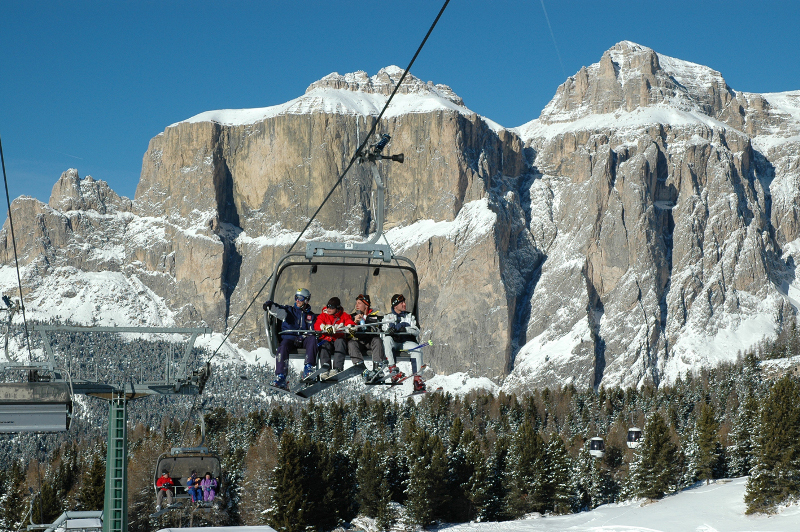 Over its 300 km of slopes and 80 ski lifts in Val di Fassa available for skiers and winter sports enthusiasts. 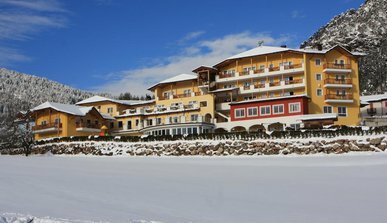 When the first snow falls, the landscape around our hotel turns into a white fairy land. 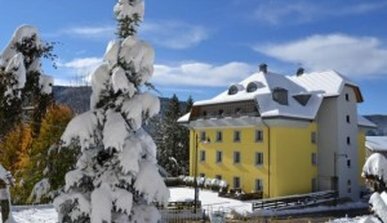 Experience the true magic of winter at the Alpe Cimbra. 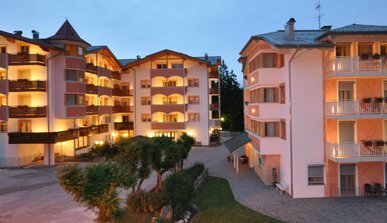 You can choose to stay in our Hotel Select, to spend a fantastic holiday of relaxation and well-being. 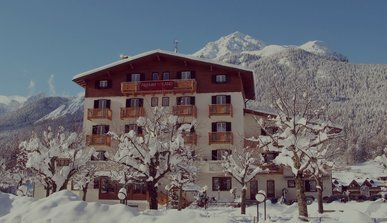 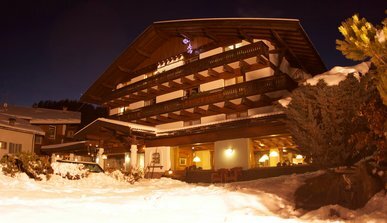 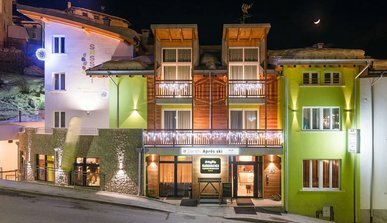 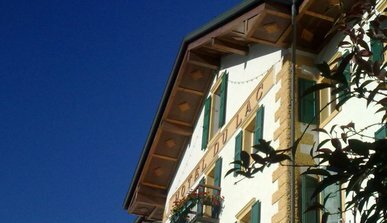 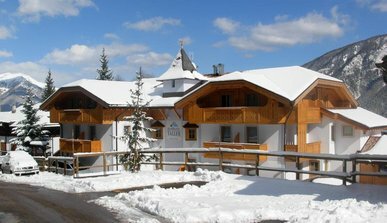 Our hotel is located in the perfect position to live the winter holidays on the ski, you can reach the slopes through a 150-metres path in the woods. 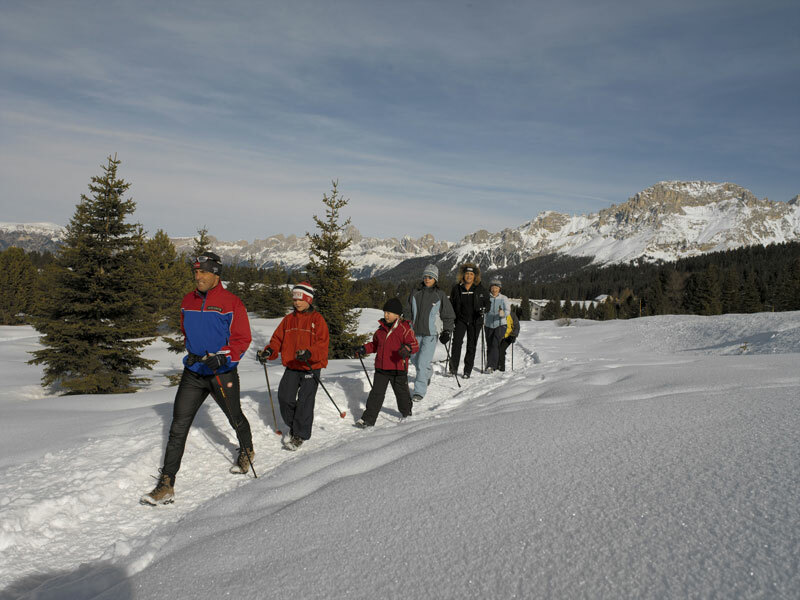 More than 50 km of ski slopes for all kind of skiers, renewed chair lifts easy to reach from our 4 Star boutique hotel in Trentino, in the very hearth of the Dolomites.